The Right to Learn tells the gripping story of how the Workers’ Educational Association pioneered democratic adult learning across the North of England. From tiny beginnings in mining villages and Co-op halls, the WEA’s voluntary members and dedicated tutors built a popular education movement that opened new horizons for generations of working men and women. Out f the excitement came the Pitmen Painters, a group of working class artists who challenged conventional views of art. And the WEA went on to break down barriers to learning for women, took science to the people, made international understanding meaningful, and helped to strengthen trade unionism and local democracy. 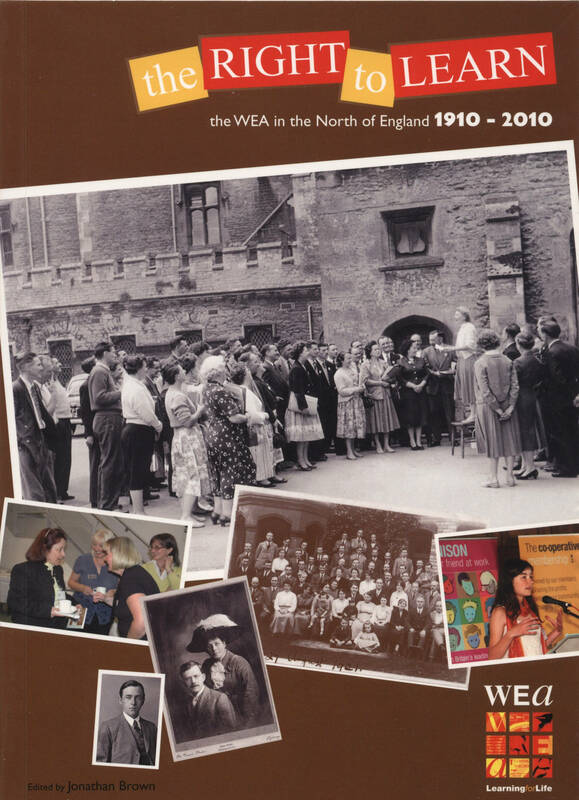 Wherever the WEA was established in Britain at the beginning of the last century it seemed destined to start with a flourish and make its self quickly indispensable. 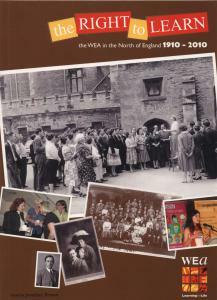 The North-East of England, where the WEA has maintained its presence now for a hundred years, was no exception, once the association got underway. It’s doubly encouraging that the burst of energy which characterised the WEA’s early years in the North-East is again tho the fore in the first decade of the twenty-first century. Over the last five tears the WEA has become rejuvenated, rediscovering its mission and purpose and very effectively extending its connections with the North-East. Its recent partnerships with the Open University, the Co-operative Movement and UNISON in particular have also enhanced the work and reputation of the Association as a whole. Perhaps the pitmen painters provide a fitting theme for the history of the WEA in the North-East. They developed their art and reputation through WEA classes in Ashington in the early decades of the WEA’s existence, and they provided one of the more vivid images of the WEA’s relevance into the twenty-first century. It is inconceivable now for the WEA not to be part of the warp and weft of the North-East of England. Now that Lee Hall’s remarkable play, The Pitmen Painters, has successfully crossed the Atlantic to Broadway, should we expect a first base for the WEA in New York?